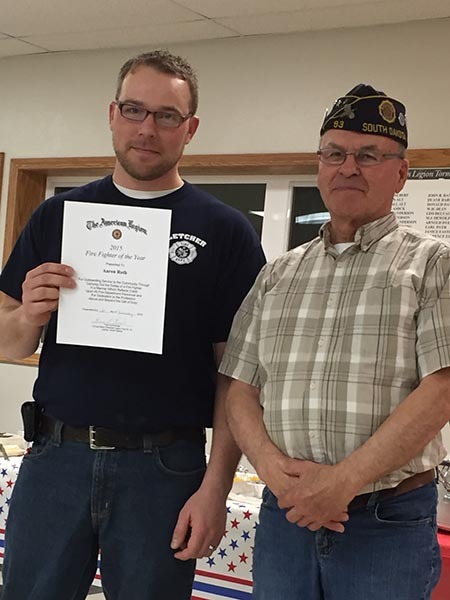 LETCHER VOLUNTEER Fireman Aaron Roth receives the Fireman of the Year award from Legion Commander Ron Ruml. The Letcher American Legion and Auxiliary hosted an appreciation supper for the Letcher Volunteer Fire Department and EMTs and their families recently. There were 45 people in attendance. Auxiliary President Sandi Ruml read a fireman’s prayer and the history of the Letcher Fire Department. Legion Commander Ron Ruml presented the Fireman of the Year award to Aaron Roth. Pictured left to right are, back row: Garrett Larson, Brady Tiede, Jastyn Ford; fourth row: Mason Dise, Jacob Fouberg; third row: Drae Styles-Blew; second row: Rex Schilcht, Noah Bruce; first row: McKenzy Peterson, Lacey Christensen and Tayla Weber. 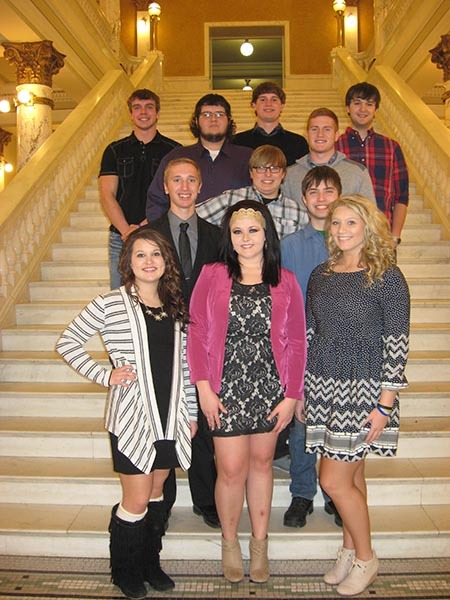 The Woonsocket senior government class enjoyed a trip to Pierre on Tuesday, Feb. 16. The class began their day at the Emergency Operations Center for a tour of the facility. Lunch was next on their agenda with a stop at Pizza Ranch, courtesy of the Woonsocket American Legion. Students sat in on the democratic caucus before spending time observing the legislature. They were fortunate to be in the House gallery when U.S. Rep. Kristi Noem made an appearance to speak to the South Dakota legislators about legislative changes made in Washington, D.C., and praising them for the work they do for the people of South Dakota. A highlight of the class’s trip was to meet our District 8 representatives, Senator Parsley and Representatives Wollmann and Heinemann. These representatives introduced the Woonsocket class in both the House and the Senate. 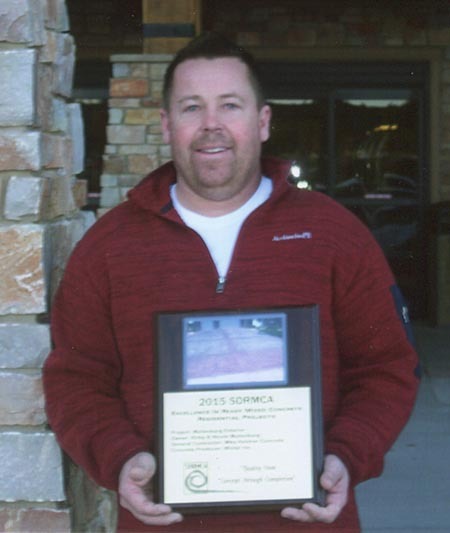 Alpena native Mike Keleher, currently of Brandon, received the award for Best Decorative Concrete in South Dakota from the SD Ready Mix Concrete Association at their annual conference held recently.